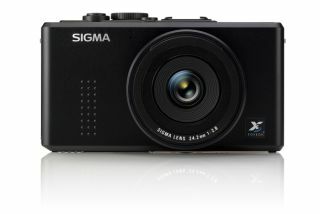 The new Sigma DP2x compact camera will be priced at £619.99 and available for purchase from the end of April, the company has revealed. Among the Sigma DP2x specs are a 14-megapixel Foveon X3 Direct Image Sensor, a 24.2mm f/2.8 lens designed exclusively for the DP2 series, improved autofocus speed and a TRUE II Processing Engine. The size of the DP2x's Foveon XS sensor is 20.7mm x 13.8mm, which is approximately 7 to 12 times larger than sensors used in ordinary compact digital cameras, Sigma claims. The Sigma DP2x also incorporates AFE (Analog Front End) that converts full color data, which Sigma claims enables the camera to reproduce high definition and richly colored images. The Sigma DP2x release date follows its announcement just two months ago at the Consumer Electronics Show in Las Vegas. Sigma also revealed shortly after CES that it plans to develop new lenses for Micro Four Thirds and E-mount camera systems. Price, specs, release dates and even product names are all still to be determined, Sigma said, as the development process is still in its early stages. Stay tuned to TechRadar for a full test of the Sigma DP2x following its UK release date.